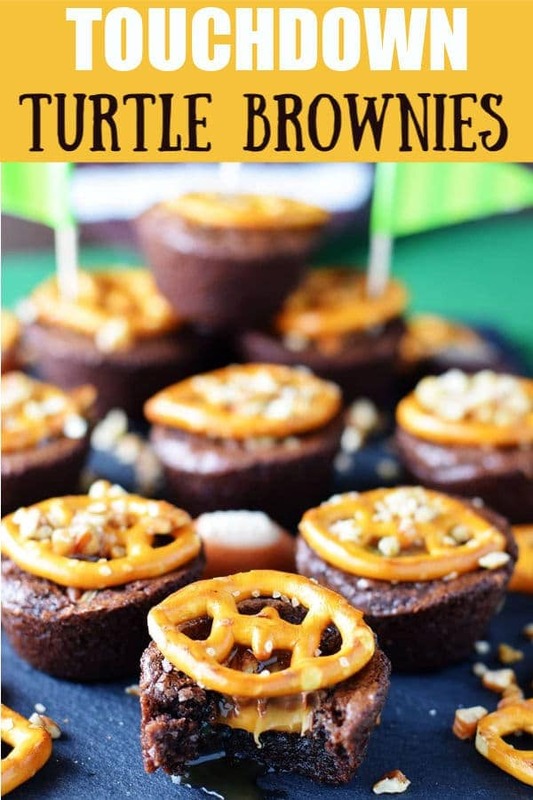 These Touchdown Turtle Brownie Bites are a deliciously easy way to celebrate game day! 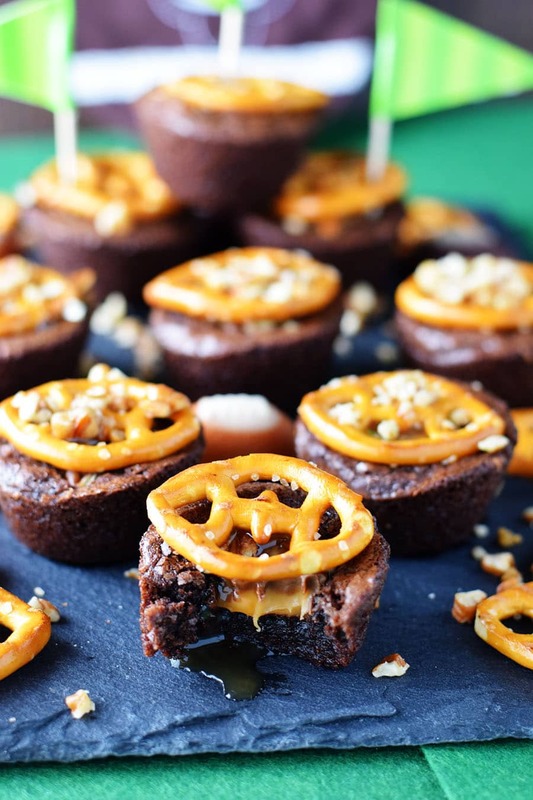 Rich chocolate brownies baked in a mini muffin pan topped with a chocolate covered caramel and football shaped pretzels with pecans! 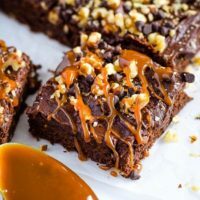 Can you just smell the goodness going on when brownies are baking and they come out of the oven and are topped with a chocolate covered caramel candy? That gooey melted caramel oozing over a decadently rich brownie! Well it gets a little better with pretzels and pecans! I mean a dreamy bite if I ever saw one! Keeping recipes simple doesn’t mean they lack in taste or in presentation. 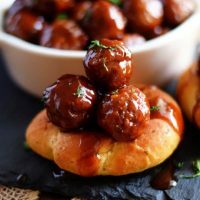 These are super cute and perfect for Super Bowl Sunday, a college game tailgate, or a day with friends gathered around the TV cheering on your favorite team! 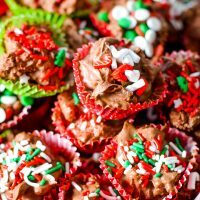 This is the perfect treat for any gathering! But when it’s game day season I grab a bag of football shaped pretzels to make this a fun way to cheer on the team and have the crowds a cheering with all the goodness they are biting into! It’s a WIN for the TEAM and for the COOK too! Let’s get Ready to Rumble (I mean assemble)!!! Preheat oven to 350 degrees. Mix boxed brownies according to directions on back of box. Make sure to grease or spray muffin tin well! 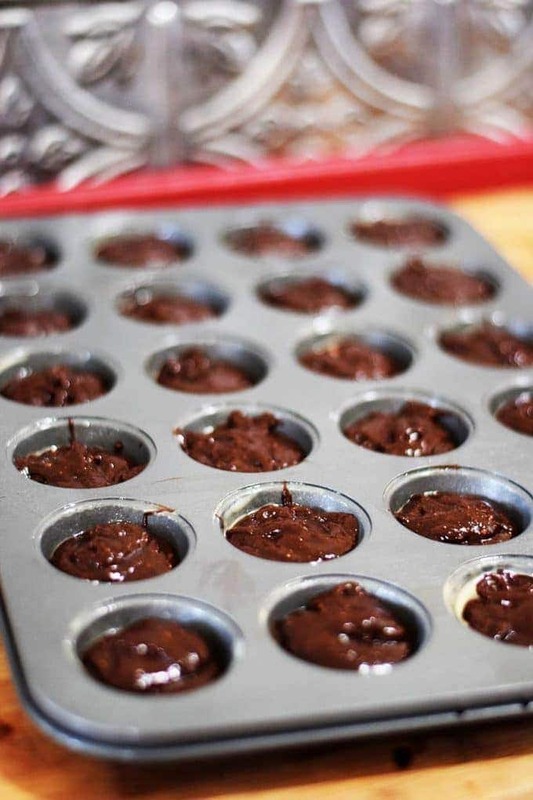 Scoop or pour brownie mixture, about 2 tablespoons, into mini muffin pans. 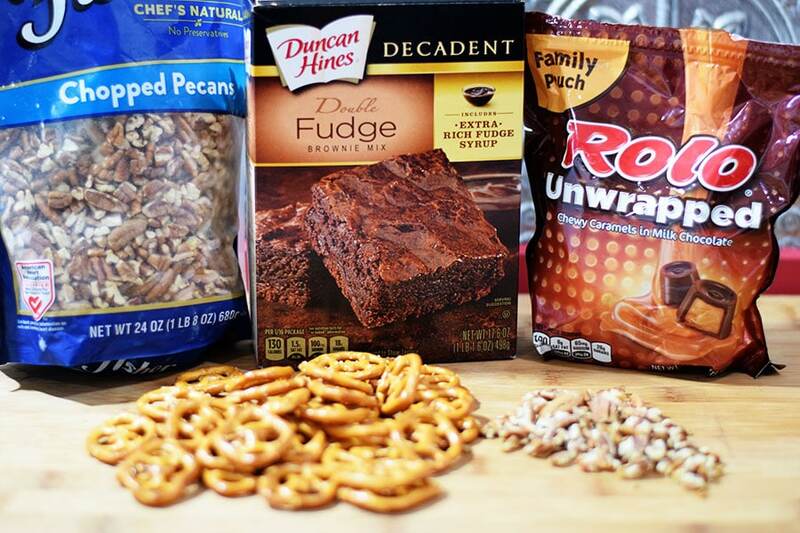 Bake brownies until done. About 12 to 15 minutes. 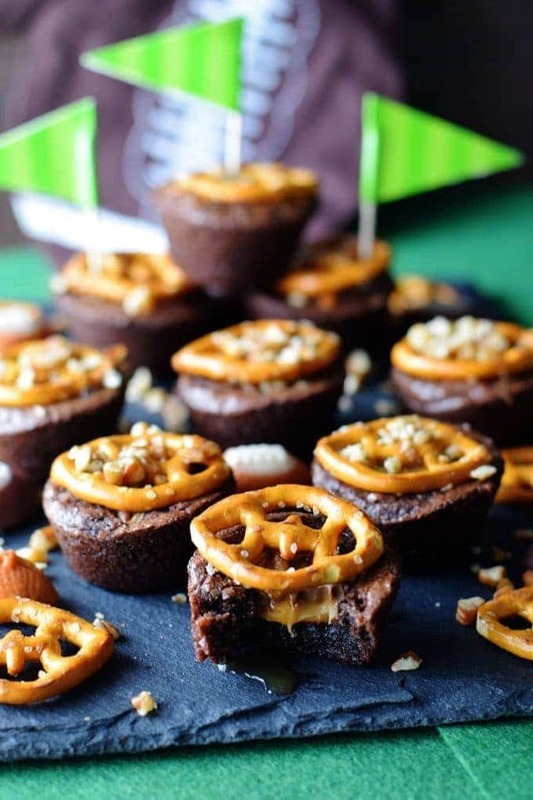 These bake pretty quickly in a mini muffin tin. While they are still hot stuff a Rolo into the center of the brownie. Then press in the pretzel slightly so it will stick and sprinkle with chopped pecans. 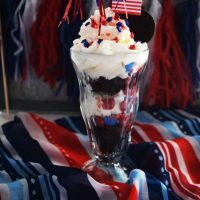 Drizzle with melted chocolate or hot fudge and caramel topping if desired and serve to your rowdy football fans! Garnish with Caramel and Hot Fudge Topping or melted chocolate if desired. 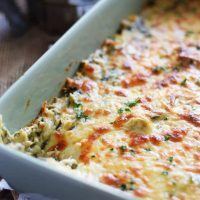 I am also sharing this over at Meal Plan Monday and Weekend PotLuck! 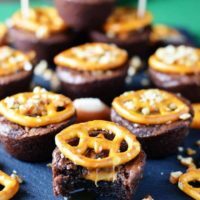 I love everything about these brownie bites!! YUM! LOVE this idea! 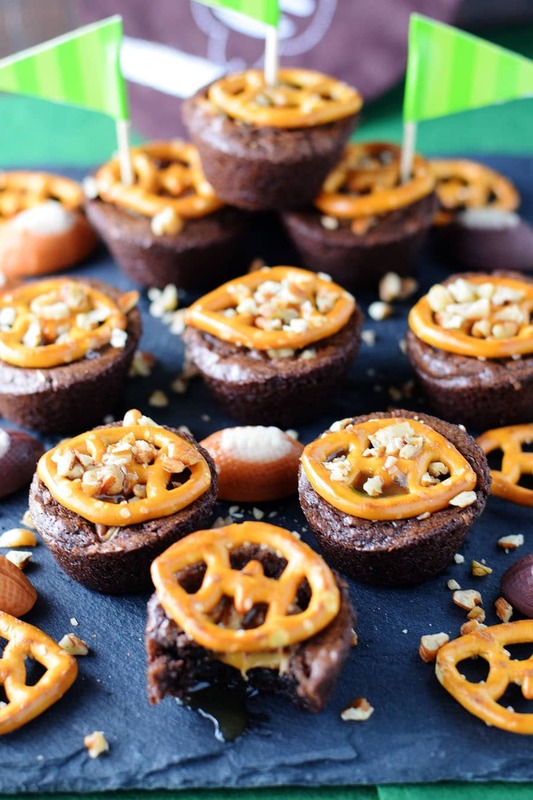 The Rolo thing is genius and so are the little football pretzels- easy and fun recipe! This is such a cute idea, and love it’s easy too. 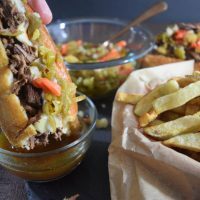 The different flavors and textures in this sound perfect! Love the pretzel on top! Thank you Laura! I love all these flavors together too! 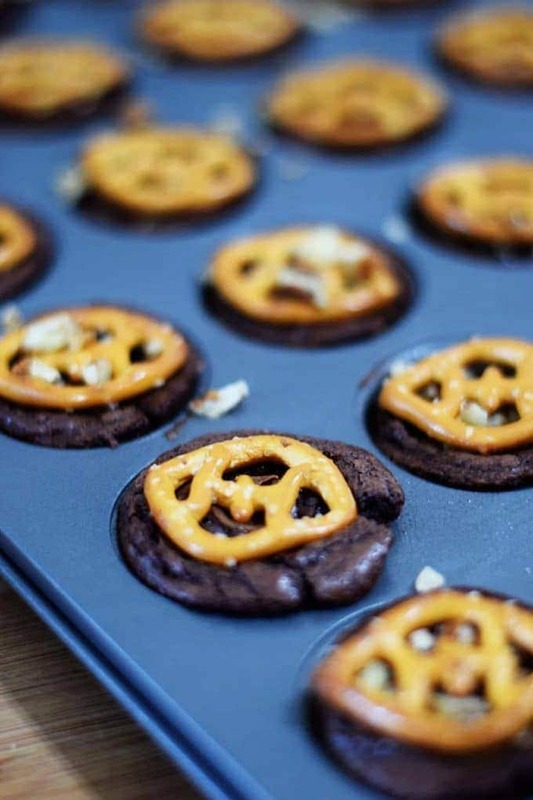 The pretzels make it festive! 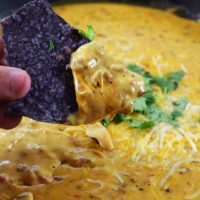 This is a MUST make recipe! I love that these gems are bite sized so I can go back for seconds and thirds! Oh my word these look SO CUTE! And so decadently delicious. 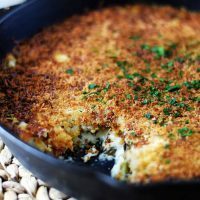 I’m glad their bite sized, because I could eat the whole pan. Yum! Yum! 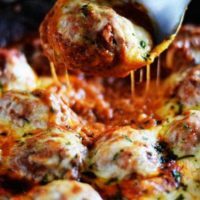 These would be a huge hit with my family. I just love those football pretzels on top! Such a cute touch. Thank you Tara! They were hard to find this year! I try to stock up when they come in. Mmm, I can almost smell them baking, thanks to your good description! Thank you David! Brownies are a weakness of mine! I love these! 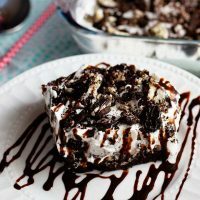 This is the perfect Superbowl dessert to take to a party! Thank you so much Lisa! They are so fun and easy to make too!